Propane is a hydrocarbon (C3H8) and is sometimes referred to as liquefied petroleum gas, LP-gas or LPG. Propane is produced from both natural gas processing and crude oil refining, in roughly equal amounts. It is nontoxic, colorless and virtually odorless. As with natural gas, a strong identifying odor is added so the gas can be readily detected. Liquefied petroleum gas (LPG) consists mainly of propane, propylene, butane, and butylene in various mixtures. However, for all fuels in the United States, the mixture is mainly propane. The components of LPG are gases at normal temperatures and pressures. Chemical Properties: LPG, like natural gas and unlike gasoline, is a simple mixture of hydrocarbons, mainly propane/propylene (C3S) and butane/butylene (C4S). 2. Is Propane safe to use in my home? Propane is a safe fuel to use in your home and business. Propane has a narrow range of flammability and cannot be ingested like gasoline or alcohol fuels because it is released as a vapor from a pressurized container. In addition, award-winning preventive maintenance programs ensure that homeowners understand how to properly maintain their propane appliances and enjoy a healthy, safe environment. 3. How should Propane tanks be stored? Propane tanks should be stored outside. Do not store any propane tanks in the garage or any other indoor areas at any time, even during the winter months. As for excessive heat, propane tanks should only be filled to 80 percent of the tank's capacity. This is to allow for some liquid propane expansion that might occur during hot days. Please see our Safe Grilling page for further details. 4. Are there steps that I can take to lower my energy bill? Explore fuel payment plan options to spread your projected annual costs over many months, balancing the costs of seasonally higher bills. We have a Budget Payment Plan that allows you to spread your winter energy costs throughout the entire year. We also offer a Pre-Buy Program option that can help lower your winter propane costs. 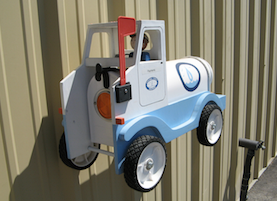 Set up a regular delivery schedule. Consider filling your tank before the start of the heating season rather than waiting until it is empty. The federal government is offering a tax credit of up to $1500 for qualifying energy-saving improvements. Credits are available for many home improvements including high-efficiency heating and cooling equipment such as propane water heaters and furnaces. For more information visit www.energytaxincentives.org. Inspect and tune-up your residential heating system regularly for efficiency. Contact our office to inquire about a home heating system inspection. A properly working heating system is more efficient and will save you money. Change your furnace filter monthly. Clean filters will help your heating system work more efficiently. Close heating vents and doors in unused rooms, up to a total of 30% of your vents. Make sure your attic and basement are properly insulated. 5. Are there any tips when using a Propane stove? Be sure that all burners are burning with a blue, cone-shaped flame. A yellow flame indicates clogged air inlets or burners that need adjustment. Contact our service department immediately if you do not see a blue flame. 6. Where can I find information on gas fireplaces? The Hearth, Patio & Barbecue Association (HPBA) is an international trade association first established in 1980 to represent and promote the interests of the hearth products industry in North America. Check out their website for information on hearth appliances. 7. Where can I find information on gas appliance manufacturers? AHRI, the Air-conditioning, Heating and Refrigeration Institute, is a national trade association whose members manufacture appliances, components and related products used in connection with space heating, water heating and commercial food service. See their website at www.ahrinet.org. 8. Where can I compare various heating fuels? 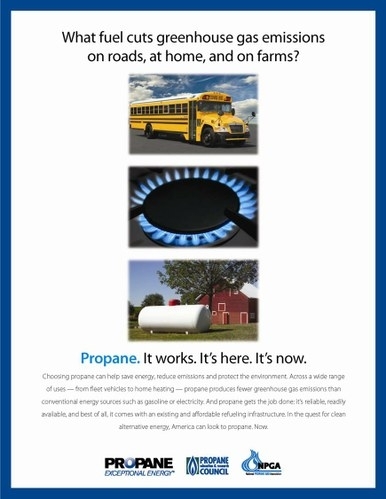 Please visit the Energy Savings Calculator at the usepropane.com website to compare propane to electricity.